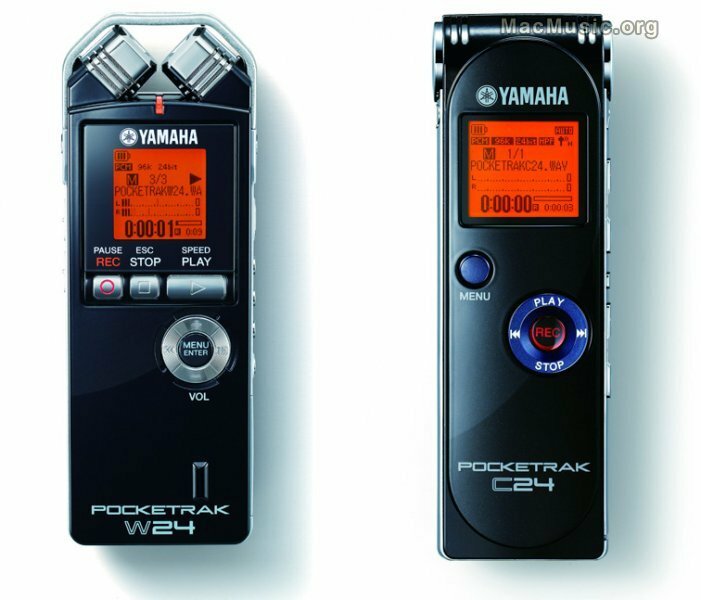 Yamaha introduced two new convenient, reliable and unique portable recording devices, the Pocketrak C24 and Pocketrak W24, at Winter NAMM 2010. Both models come with a host of convenient, easy to use value-added features, including a metronome, an instrument tuner, 2GB of internal memory (with the ability to expand the memory with min SD memory cards), a Peak Limiter to avoid distortion on sudden loud passages a High Pass Filter that eliminates low frequency noise on recordings. The Speed Change function speeds up or slows down MP3 playback without changing pitch, similar to high-priced guitar training machines to let guitarists practice a demanding barrage of notes or chord changes at a slower pace. From its inception, the POCKETRAK has featured a Voice Activated System, which starts the recording process as soon as the audio level reaches a certain level, and it stops when the audio level drops below the threshold. In a band situation, for example, when the function is set, the recording will include only the music, not the banter between songs for easier file management. Both models also include a Set Timer function, which specifies the duration between the time the record button is pressed and the moment recording begins, so users can get ready to perform. It also eliminates noise from pressing the record button. They also come with Cubase AI5, a streamlined sibling of Steinberg's Cubase 5 Advanced Music Production System, the world's most popular Digital AudioWorkstation. Cubase helps users see their recordings as wave data on their computers so they can get rid of unwanted parts of the recording, export data on WAV and MP3 files, burn CD's, ad effects and equalize the sound.